The best gift that Martin Luther gave to the church was our ever so prevalent concept, "the priesthood of all believers." The fact that all people, through Christ, have the spiritual authority to bear the image of God in the world, to be a minister in their own context, and to carry the mission of Christ into the world, no credentials required, is good news. And thanks to Luther and the folks who pushed this idea along, it's a catchphrase that's common, in one way or another, among just about every mainline and evangelical church around. But as with everything else, there are extremes to the concept of "the priesthood of all believers." And just like with everything else, the pendulum can swing from one extreme to another. Luther's theology was a solution to one extreme, namely the papacy. Certain individuals, based on education and, too often, social status, we're granted all of the spiritual authority of the church. It was through these certain individuals that the work of ministry was done and the general population, i.e. the congregation, were simply benefactors, spectators, and sometimes victims of their work. This was a biblical and ecclesiological problem. The keys to the Kingdom of God were never meant to fall into the hands of such authority figures (a far cry from the claims of Jesus in the "beatitudes"). Luther's theology was a threat to such authority and he, and those who followed him, were the harbingers of the solution. But solutions often carry with them their own set of problems. Is there to be no sense of authority in the church? Should we not place some trust in the wisdom, experience, leadership, and even the education of some to offer guidance and vision? 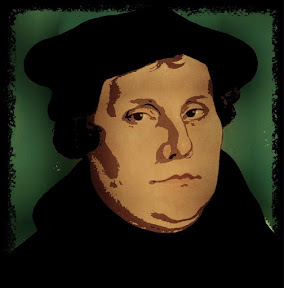 Even Luther never meant to dismantle the role of the minister altogether. Luther said, "There are indeed priests whom we call ministers. They are chosen from among us, and who do everything in our name. That is a priesthood which is nothing else than the Ministry." Now certainly, we have not lost our sense of the role of professional ministers. In fact, ministers today are better paid and better resourced than they have been in any preceding generation. But we have, in some areas, lost our respect for the position. Thanks to Luther, we no longer need to see the minister or the pastor as the one who does the work of ministry. But they are still the ones who equip, train, encourage, educate, inspire, lead, and mobilize everybody else to do the work of ministry in their own context. And I'm afraid that we are sometimes too casual about this role. Our commitment to personal authenticity has outweighed our value for real quality training and education. A pastor needs to be a professional, an expert. My old-school mainliner side (yes, I do have one of those) always gets a little freaked out when I go to an evangelical worship service where the "worship leader" is obviously a college kid who's never received any formal theological training. See, back in the day, worship was not just the stuff you did after the announcements and before the sermon. Worship was the whole service. So a "worship leader" was a pastor; guiding the liturgy of the church, leading the congregation in intentional prayers, and proclaiming the gospel from the pulpit. It was not just a kid who knew how to play guitar and had emotional connections to somewhat romantic and superficial claims about God. Now, my other side--my more contemporary evangelical side--is refreshed to see that formal theological education is not a requirement for doing ministry. Surely, it is not. But I can't help but think that a balance is necessary. In professional ministry there must be a level of professionalism. A worship leader, for example, has a huge influence on the theology of the church. That makes them professional theologians, like it or not. The words we sing are profoundly important because, even beyond what they mean to us, they have a way of shaping us. The worship leader should, on a level, be regarded as an expert in their area of ministry, a guide to mobilize others in worship. Same with every other area of ministry. We should not take for grated the huge authority and great power that we have despite out efforts to downplay it. Like it or not, the pastor is affecting a deep place in the hearts of the people to whom they minister, the people they're training, the people alongside whom they are themselves growing. As pastors the words we speak are heavy and our compassionate presence is sacramental. We should take seriously the big picture of our role. That means being picky about the people to whom we entrust the role of pastor, worship leader, youth pastor, children's pastor, etc. even while we are mobilizing the whole church to be the priesthood. We need to keep the pendulum near the middle. Let's lose the false dichotomy of ministry and laity. Let's ditch our rigidity and elitism. But let's not lose our sense of how profound our calling is.